For a true St. Thomas adventure excursion look no further. This adventure tour combines kayaking, snorkeling, hiking and history. 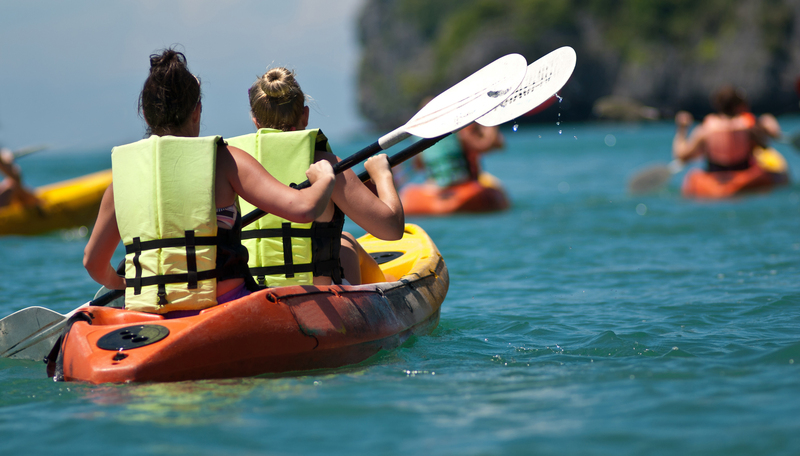 The entire kayak excursion lasts 3.5 hours and includes snorkel gear (mask, snorkel, snorkel vest and fins), drinks and snacks. 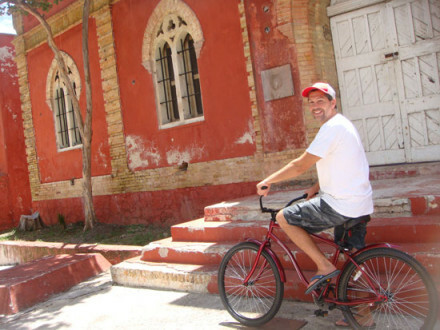 This tour is recommended for the physically fit and those over the age of 16. Shoes or rugged-soled sandals required. A truly unique experience on St. Thomas. 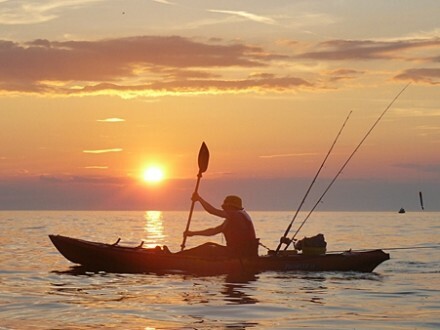 We will begin our kayak excursion at Brewers Bay (just past the airport) where we launch our ocean kayaks and paddle west along the pristine and untouched southwest shore of St. Thomas. This is a kayak adventure tour which means we are leaving the jewelry and souvenir shops of bustling St. Thomas far behind. We will paddle our kayaks along cliffs, beautiful rock faces and over coral heads that are only a few feet below the water. The water is a lovely green and some of the clearest on St. Thomas. Our destination will be Perseverance Bay, the only completely undeveloped estate on the island. We will pull our kayaks up on its rocky bank and head inland on a 40-minute hike. 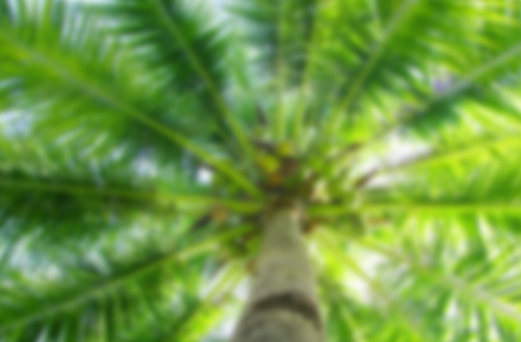 Our hike will take us into the richest and most virgin fauna on St. Thomas. As we head inland on this almost entirely flat hike we may see all manner of wildlife- ducks, land crabs, hermit crabs, fiddler crabs, various bird species unique to the island and white-tail deer. After hiking in-land for a short while we will come upon a stunning and eerily beautiful sight. 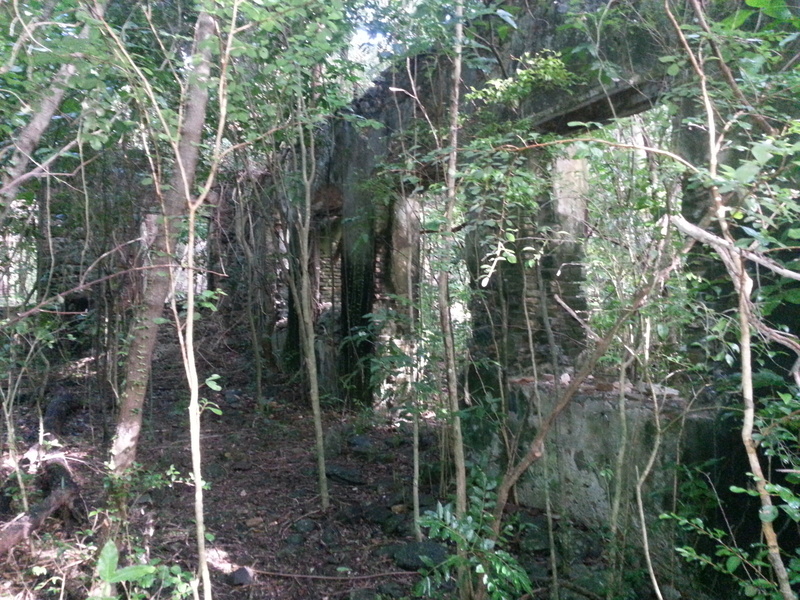 Springing up from the ground and forest are the ruins of a slave-era sugar mill. 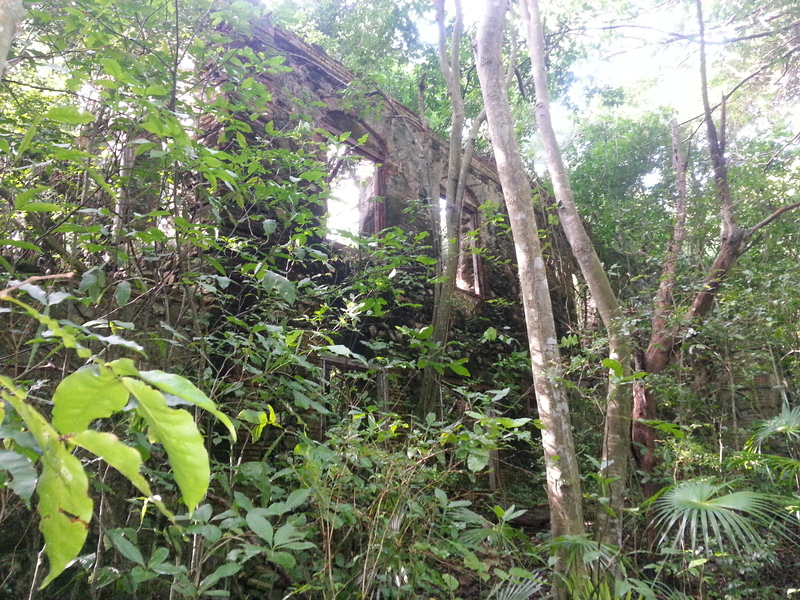 Over the many decades since it was abandoned, the forest has slowly reclaimed parts of it, but much of it remains. 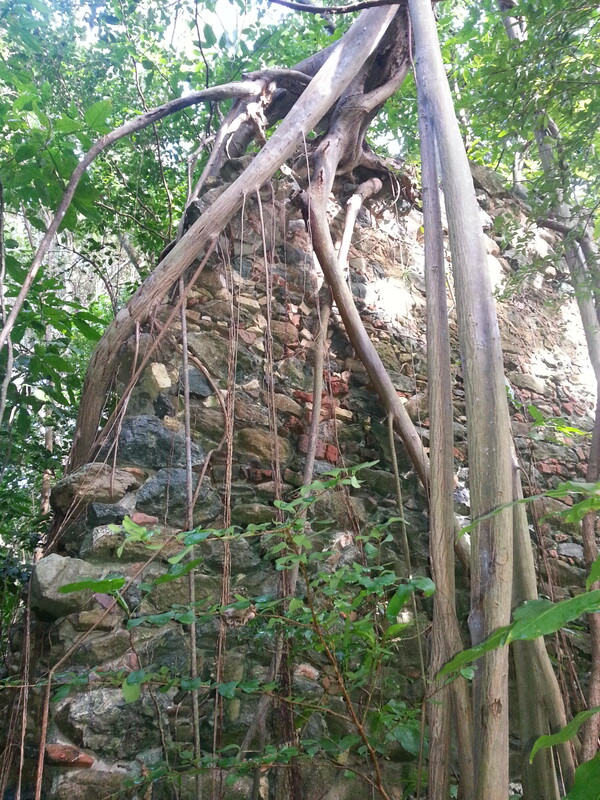 The sugar mill is a historic masterpiece which has been completely forgotten by the people of St. Thomas. 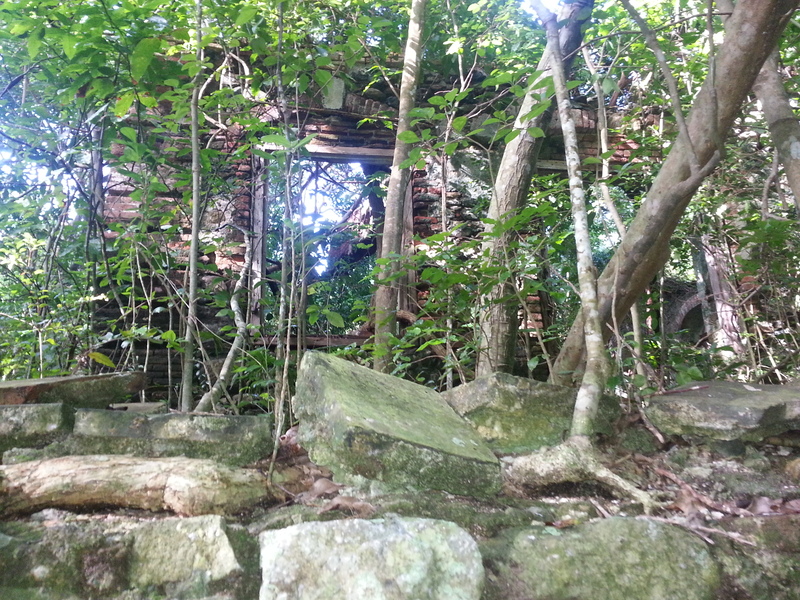 We will explore much of the ruins and there will be many opportunities to take pictures. After hiking back to our kayaks, we will paddle a short distance to a small inlet where we will beach our kayaks. We will dive into the clear Caribbean water and go snorkeling on some seldom seen coral formations. After snorkeling we will take a water and snack break before we begin our journey back to Brewers Bay. 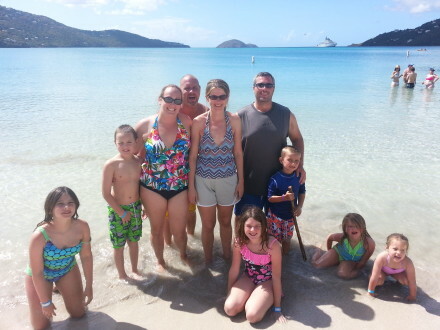 If you arrived in St. Thomas on a cruise ship, grab a taxi to Brewers Bay. From Havensight/WICO dock the ride is about 20 minutes. From the Crown Bay dock, the ride is 10 minutes. 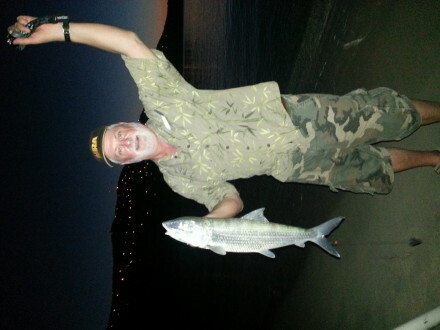 If you are staying in St. Thomas at a villa or hotel and have a rental car, stay on the waterfront and head west. You will pass the airport and drive through the University of the Virgin Islands. Not long after passing the campus, you will see a beach on the left. There is parking along the street in both directions.